YOUNG Muslims celebrated the start of 2018 by picking up their brooms and bin bags to help clean up Halesowen town centre after the new year festivities. 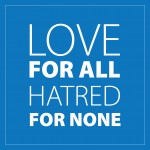 Members of the Ahmadiyya Muslim Youth Association (AMYA) Birmingham West woke up at the crack of dawn to take part in communal prayers for a prosperous coming year. But after their morning prayers, the youth members donned their hi-vis jackets and headed to the town centre as part of the ‘Big Street Clean’ litter pick initiative. The campaign is one of many charitable and community initiatives carried out by the AMYA across the winter break, with the group also organising blood donation sessions, charity collections, visits to the children’s hospital and nursing homes and homeless feeding sessions. Muhammad Daud, youth leader for AMYA Birmingham West, said: “Our members have enjoyed living in Halesowen for decades and so any opportunity to help our local community is much welcome. 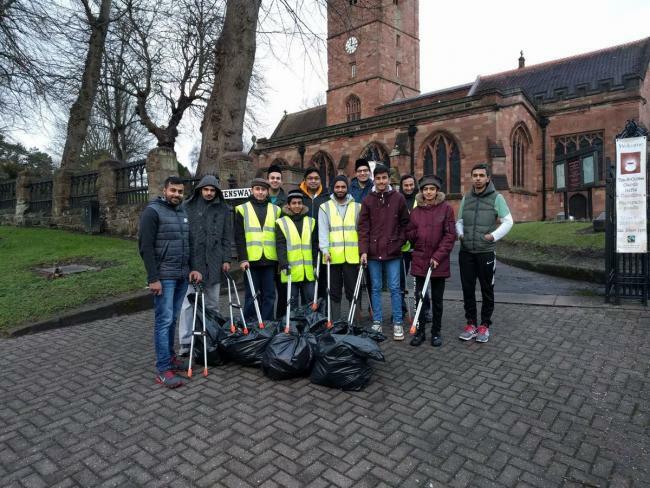 “Cleaning the streets of Halesowen also presents us with an opportunity to become better Muslims, as cleanliness is an integral part of our faith.